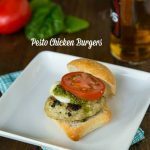 Jalapeno Turkey Burgers – Turkey burgers with a little kick! Topped with fresh tomatoes and homemade guacamole. 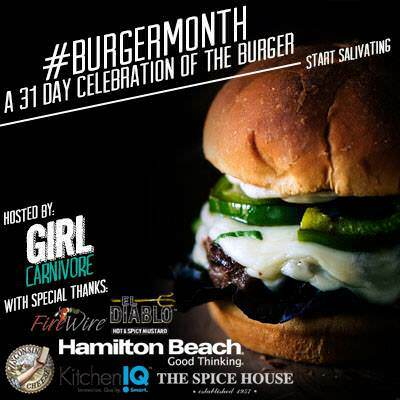 I am excited to be taking part in Burger Month today. 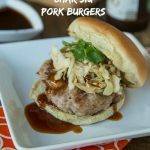 Kita from Pass the Sushi and Girl Carnivore set up a whole month of different burger recipes from all around the web. 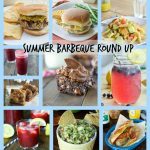 There are over 30 bloggers participating, and we are all sharing recipes on different days. 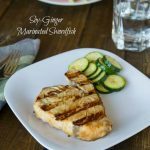 So be sure to follow along, there are bound to be some amazing recipes. I have a feeling my menu will pretty much be planned for the rest of the summer. I know there are a few great giveaways as well. Hamilton Beach has donated one of their new Indoor Searing Grills to giveaway during the month. So stay tuned! Hamburgers are kind of the quintessential American summer time food. It doesn’t really matter what kind of protein it is made out of, as long as it is formed into a patty and grilled. Everyone in my house loves burgers. Chicken, turkey, or beef; we love them all. Although my son might request turkey burgers more than anything else! 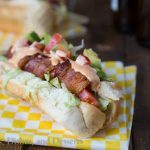 Top them with avocado, ketchup, special sauce, some kind of veggies, crispy onion rings, barbeque sauce, bacon; seriously, doesn’t matter! Just pile it on, and as long as it tastes good, we are all happy campers. 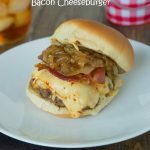 I had one recently at the Burger Bar that was topped with bacon and pulled pork, I still need to recreate that one at home! 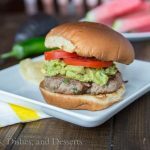 My husband likes everything spicy so these jalapeno turkey burgers are definitely one of his favorites. In the meantime, I went with a little bit spicy here. Not too spicy by any means, my 9 year old doesn’t love heat, and he did just fine with these turkey burgers. If you want the spicy, just up the amount of jalapeno in the burgers. 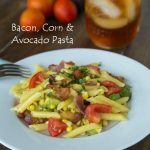 Because they have a slight Mexican flare with the cumin and cilantro I topped ours with our favorite homemade guacamole and fresh tomatoes. The boys spread lots of ranch on theirs as well. I didn’t have any, but I think slices of cheddar cheese would also be good melted on top! 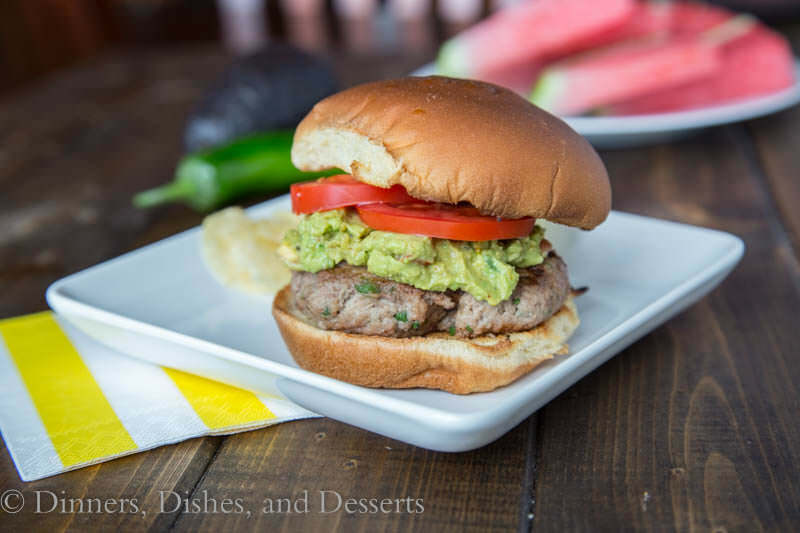 Jalapeno Turkey Burgers will impress even your picky eaters! 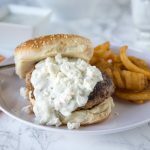 Turkey burgers with a little kick! 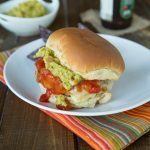 Topped with fresh tomatoes and homemade guacamole. Mix all of the ingredients together in a large bowl. Form into 4 patties. 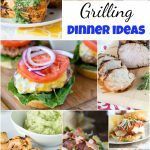 Place patties on the grill, and grill for about 6 minutes per side or until fully cooked. During the last 2 minutes, toast buns if desired. 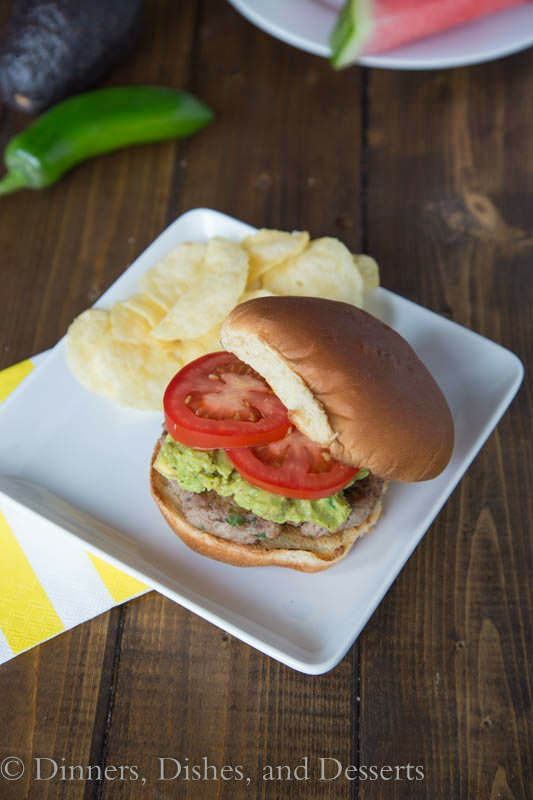 Serve burgers topped with guacamole, fresh tomatoes, and ranch dressing. Love this! Looks awesome Erin. Yum! 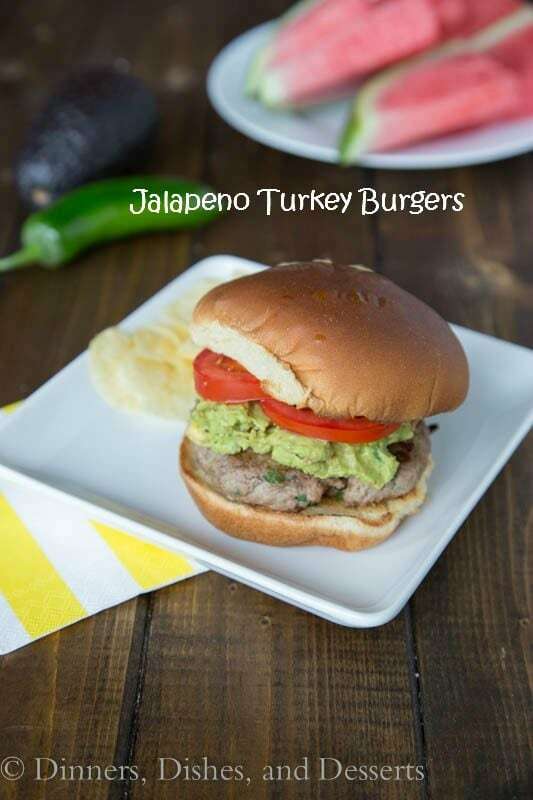 I should’ve added jalapeno to my turkey burger too, I bet that is really good. I love guacamole on burgers! This looks great! I’m loving Burger Month! 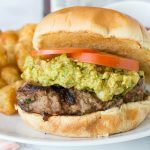 One of my favorite summer burgers IS in fact a Jalapeno Turkey Burger – yours looks and sounds wonderful! Oh my, you done good, girl! I’m loving the sound of this burger. My husband would be piling on the jalapenos, of course, but I think I’d stick to the level you have in there. Nice selection of seasonings to perk up the burger. Then to stick some guacamole into the mix. Now we are talking GOOD. Yum! 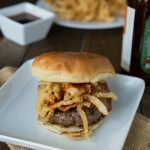 Your turkey burger looks amazing! oooh that looks delicioooozo and also veeery healthy! i love burgers! Jalepenos are a must! I do love a good burger and this one looks like I have to try it. Something about the summer makes me crave them even more! veggie burger on a pretzel bun!